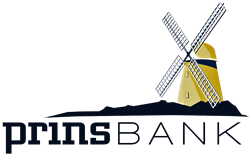 PrinsBank understands your needs and challenges. Our lending officers are willing to visit with you and give you the personal service you need. PrinsBank offers operating, livestock and equipment loans to farmers. Need a Farm Real Estate loan? We can help you with that as well. Let us use our agricultural knowledge and experience to help you succeed. PrinsBank has a firm commitment to serving the unique needs of crop farmers, livestock producers, and other Ag related services. We offer solutions based on knowledge, experience, and trust. Learn more about our Business offerings below. Contact Us for more information. Need a checking account that is as active as your business? PrinsBank's Elite Business Checking has the features you need and want for your banking to keep up with you. For the fast paced or high activity company, the Success Business Checking account options will elevate your experience and meet your pace. Learn more about this great account! At PrinsBank we understand the importance of our local farmers and the agriculture market. Explore how PrinsBank can help finance your needs for a successful harvest. Farming has been the backbone of our communities for many years and we intend to continue serving the next generation of young farmers and their families. Helping our local business community grow is one of our primary objectives. Your business success is our priority, and we will work with you to help you reach your business goals. PrinsBank's Commercial Lending professionals are your partners in success, with the knowledge and expertise to help make your business vision a reality, as well as prosperous.